DETROIT - A Michigan woman is charged with mutilating and illegally removing a corpse after her 32-year-old son's body parts were found in bags along roadways. 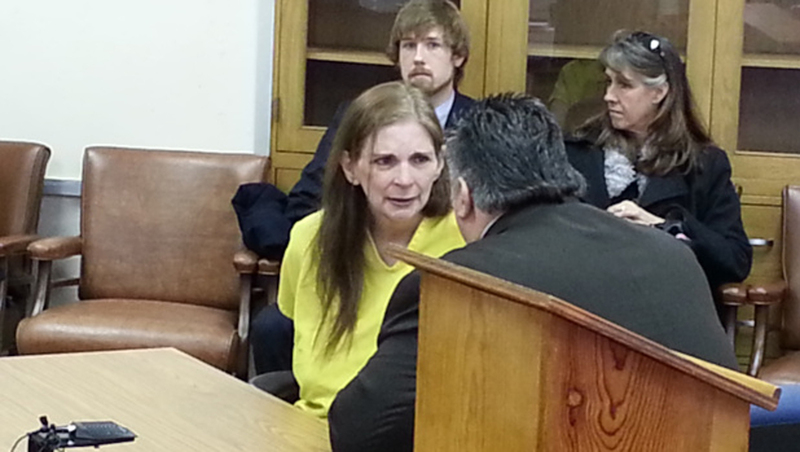 A judge says Donna Scrivo, 59, of St. Clair Shores was her son's legal guardian because of his severe mental illness. Scrivo was arraigned Monday on the charges related to her son's corpse. Macomb County Probate Judge Carl Marlinga told The Associated Press that the St. Clair Shores woman petitioned last May for "temporary guardianship on an emergency basis because her son was suicidal and despondent over the illness of his father," who later died. Marlinga says doctors determined Ramsay Scrivo had "psychosis" and "was a danger to himself." The judge says Ramsay Scrivo wanted his mother as guardian. His remains were found Thursday northeast of Detroit. CBS Detroit reports Donna Scrivo was ordered Monday to undergo a psychiatric assessment. Scrivo was arrested over the weekend. She will be held on a $100,000 cash bond pending a preliminary hearing scheduled for Feb. 14.